Asatkalpa (Sanskrit: असत्कल्प्), this Sanskrit term is derived from the word, asat, meaning 'unreal' combined with the word, kalpa, here in the context of Advaita Vedanta philosophy meaning 'a little less than complete', and is another word for mithya meaning 'the almost unreal world' or 'unreal conceptuality'. In the context of Yogacara school of Buddhism it is one of the three transformed modes of the mind which three are – parikalpa, 'the act of imagination', abh utaparikalpa, 'the act of imagining the unreal forms', and asatkalpa, 'the act of imagining the non-existent'. The Upanishads teach that Brahman, 'the First Cause', in itself is devoid of attributes, devoid of any form (Brahma Sutra III.ii14). Brahman is the only reality, there is no difference between Brahman, the Universal Self, and the Atman, the Individual self, and the association of one’s atman with buddhi is preceded by incorrect knowledge. Gaudapada is believed to have revived the monistic teaching of the Upanishads; Sankara states that Gaudapada had recovered the Absolutist (Advaita) creed from the Vedas. Gaudapada’s Karika on the Mandukya Upanishad, comprises four sections – agama ('scripture'), vaitathya ('unreality'), advaita ('unity') and alatsanti ('the extinction of the burning coal'). In the first section, he concludes that the world appearance would have ceased if it had existed and that all this duality is mere Maya (magic or illusion). And therefore, in the next section, he calls the world appearance a dream because all existence is unreal; that all dreams and all experiences are illusory creations of the self. The mind perceives all things but he states that what is perceived by the mind is perceived as existing at the moment of perception only, and that which is unmanifested in the mind and that which appears as distinct and manifest outside are all imaginary productions in association with the sense faculties, for in reality there is neither production nor destruction. In the third section Gaudapada explains that 'duality' is a distinction imposed upon the one (advaita) by Maya; that the one, in the active mind, appears to be many in the dream state as also in the waking state, once the same active mind ceases to see production then it sees no other object of knowledge other than the unproduced Self. In the last section, while drawing attention to the regress ad infinitum of Cause and Effect, he reasons that if the cause is regarded as the effect then the cause cannot be truly unproduced i.e. eternal, because it suffers production. That things exist, do not exist, do exist and not exist, and neither exist or not exist; that they are moving or steady or none of those are but thoughts with which fools are deluded. Sankara carried on the work of Gaudapada. In his Vivekachudamani St.400 he reiterates - असत्कल्पो विकल्पोऽयं विश्वमित्येकवस्तुनि - meaning – 'This variegated world imagined in the one Entity, Brahman, is asatkalpa (all but unreal, it appears but is not real)'; the phrase - Asatkalpo-vikalpo of this passage, means 'imagined unrealities' (Vivekachudamani St.528), for the mind is the cause of imagination of the unreal, it is the cause for the non-existent imaginations and agitations. 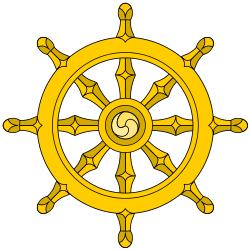 The Yogacara system and the system of Nagarjuna is said to have evolved from the Prajnaparamita, the originating text of the Mahayana school of Buddhism. Trisvabhavakarika (of Vasubandhu) or Trisvabhavanirdesa, details the Yogacara theory of the Three Natures in the context of the Theory of Two-truths. In the context of the 'Conventional truth' it states that there are three natures of being (svabhava),- a) 'the imaginary' (kalpita), b) 'the dependent' (paratantra) and c) 'the absolute' (parinispanna); the dependent nature is what appears depending on the causes i.e. vasanas (the beginning-less potencies of desires associated with objects) remaining in the subconsciousness in latent, subliminal form but conditions permitting revitalized pass into the consciousness, they appear in the mind as asatkalpa as 'unreal mental creations' or reactualization of the vasanas. Karika 5 of this text explains why the mind is designated with the word asatkalpa, the mind, which is a series of representations etc. 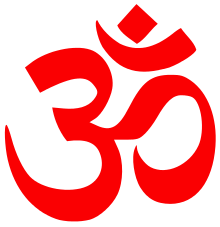 ; that are originated by the vasanas, is an unreal mental creation because a) the image projected by the mind (is as it is imagined) does not corresponds to its true being since it is conceived as a real ego which grasps an equally real object although its true nature is the ab aeterno inexistence of the subject-object duality; and because b) the objects of those representations, which present themselves as real and external to the mind (as it imagines the objects) do not exist as such since they are only imaginations produced by the reactualizations of the vasanas without real corresponding objects. The imaginary nature is the form under which the dependent nature manifests itself, and Karika 4 states that asatkalpa is the dependent nature which appears with duality i.e. composed by a subject who knows as opposed to an object which is known, because this is the essence of all cognoscitive empirical processes because this is unavoidable form under which all cognoscitive empirical processes come to being. The absolute nature is unalterable. The Imagined nature is non-dual because it consists of unreal/imaginary distinction between subject and object, the dependent nature is non-dual because it does not exist in the dual form in which it manifests itself and the absolute nature is also undual because it is by its very nature the absence of duality between subjectivity and objectivity. Explaining thus, Vasubandhu states that one can be by working of the 'unconscious' (alaya-vijnana or mula-vijnana) make one’s mental power i.e. the power to imagine unreal forms (asatkalpa), appear in the form of 'duality' (dvyatmana) which form one will subsequently superimpose on things so that the latter will be mistaken for subjects and objects. ↑ Thomas A. Kochumuttom. A Buddhist Doctrine of Experience. Motilal Banarsidass Publishers. p. 91. ↑ Surendranath Dasgupta. A History of Indian Philosophy Vol.1. p. 425. ↑ Sri Candrashekhara Bharati of Srngeri. Sri Samkara’s Vivekacudamani. Mumbai: Bharatiya Vidya Bhavan. p. 387. ↑ Swami Chinmayananda. Vivekchoodamani. Chinmaya Mission. p. 582. ↑ Lex Histon. Mother of the Buddhas: Meditation on the Prajnaparamita Sutra. Quest Books. p. x. ↑ Fernando Tola. Being as Consciousness: Yogacara Philosophy of Buddhism. Motilal Banarsidass Publishers. pp. 199–200. ↑ Thomas A. Kochumuttom. A Buddhist Doctrine of Experience. Motilal Banarsidass Publishers. p. 112.